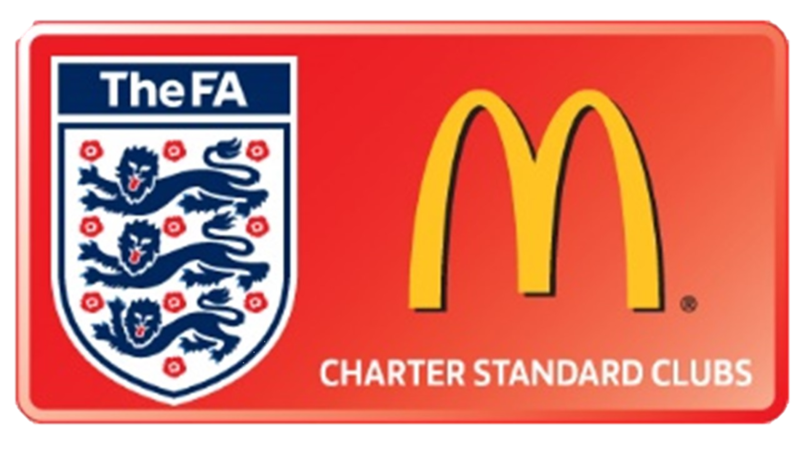 The first team put the past few weeks behind them after they registered a great 3-1 win over Bradford Town FC. All the players gave it their all which shown with a much better display. George Box got the scoring underway in the 35th minute after he got on the end of a cross with a well-taken right footed volley past the Bradford Town keeper. Bradford Town equalised just before half time to make the game 1-1 going into the break. They scored a freekick from far out on the left hand side of the goal. 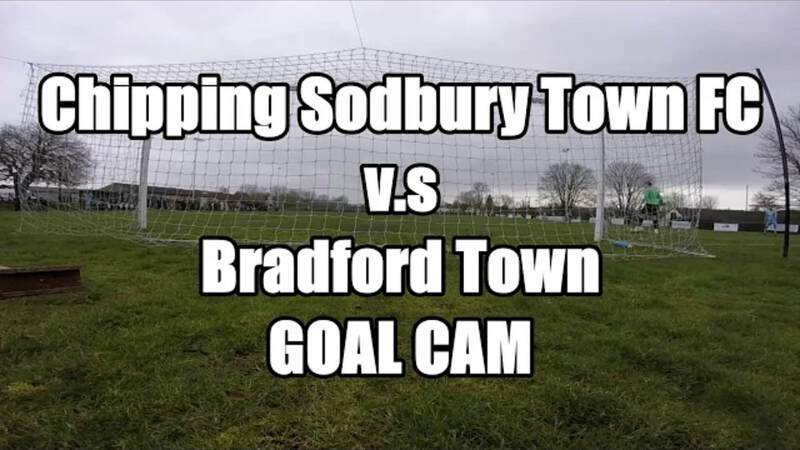 The ball was played into the box and an onrushing Bradford Town player attempted to produce a diving header and only just missing the ball, which deceived our Keeper (Sam Burgess). The ball resultatly bounced into the bottom right hand corner. In the second half, George Box added another. On the 63rd minute after a defence mix up from Bradford Town. 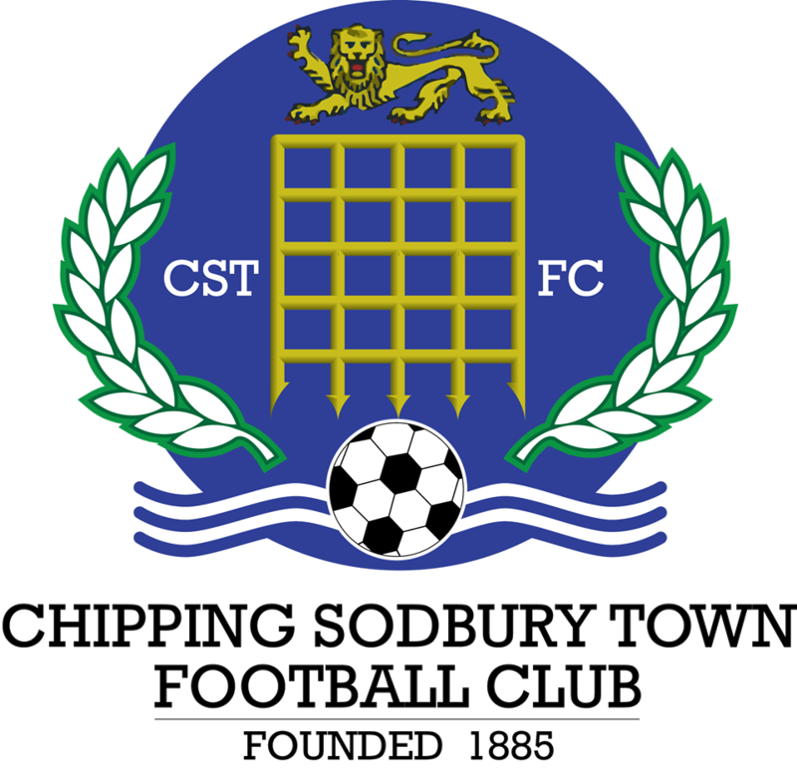 The ball was played from their keeper to a defender, who after high pressure from sodbury played the ball back. 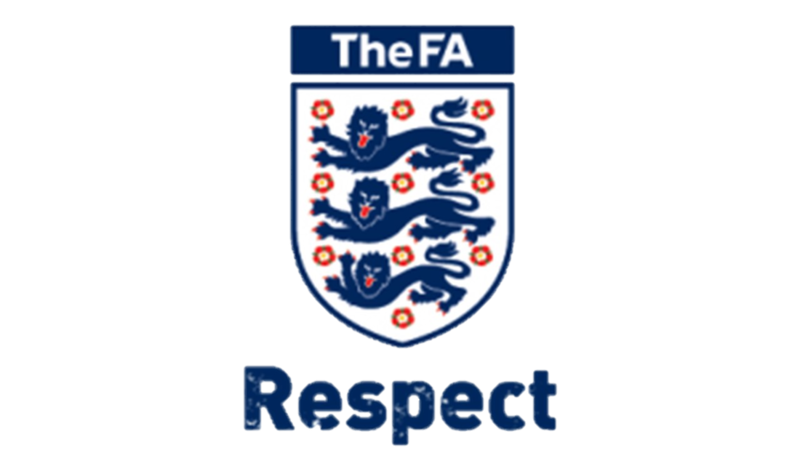 When the keeper went to clear the ball he was closed down and the ball ricocheted to George Box infront of an open goal to bag a second. 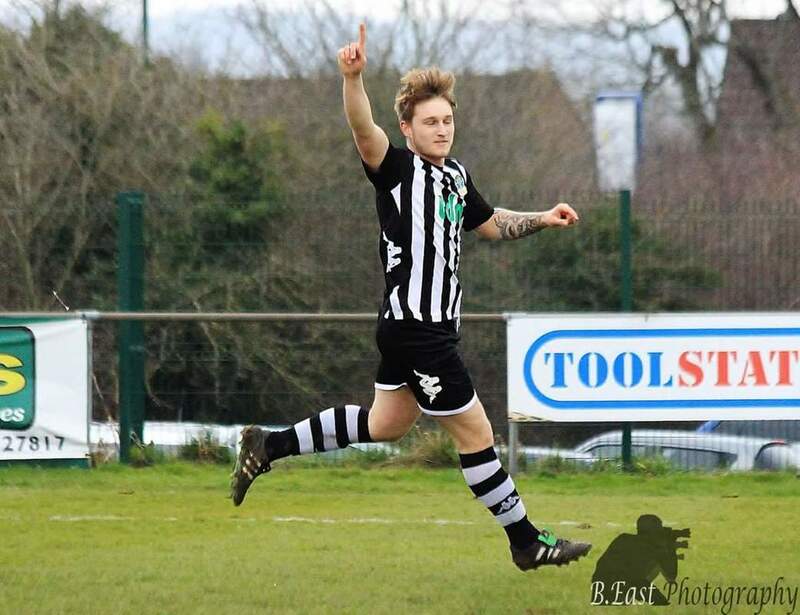 Late into the game on the 84th minute, George Box completed his hat trick. The came from a good run from Daniel Dempsey on the right hand side who completed a nice peice of skill to cut inside and go past the defender. 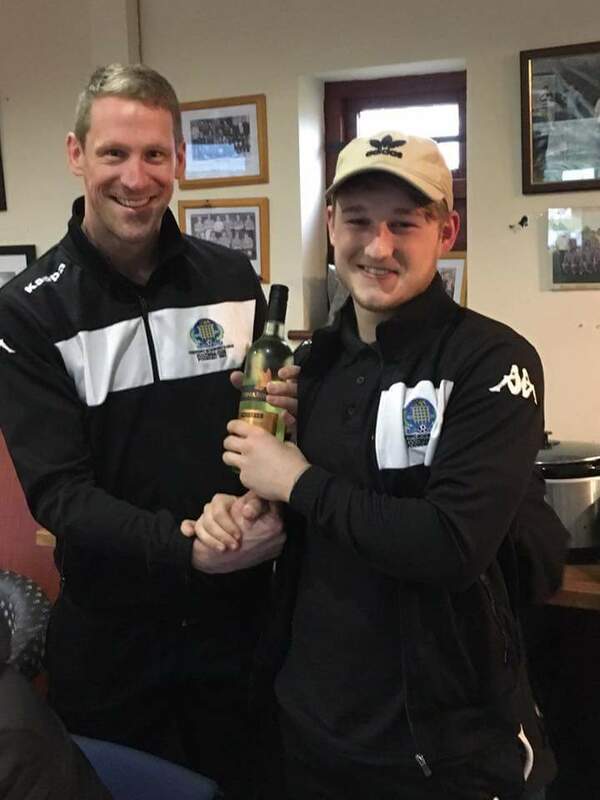 He then slide a through ball into George Box who guided a neat finish into the bottom left hand corner from a tight angle with a well taken goal. 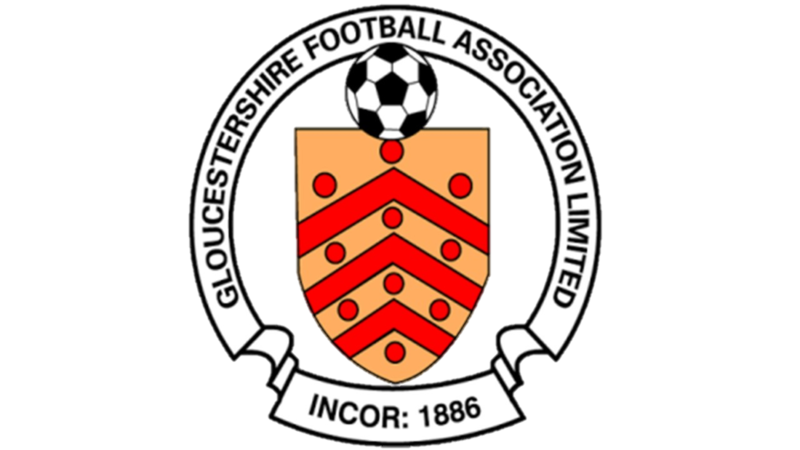 We are looking to take this form into the next game when we host Clevedon Town on Tuesday 27th March. 19:30 kick off. 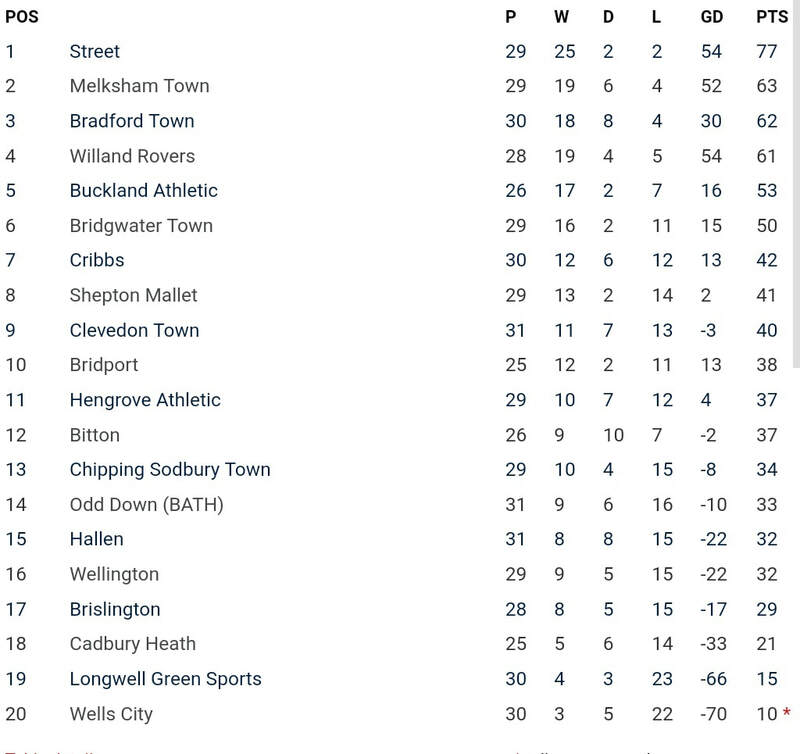 The result means that Sodbury remain in thirteenth place and Bradford Town dropped a place going from second to third in the table. 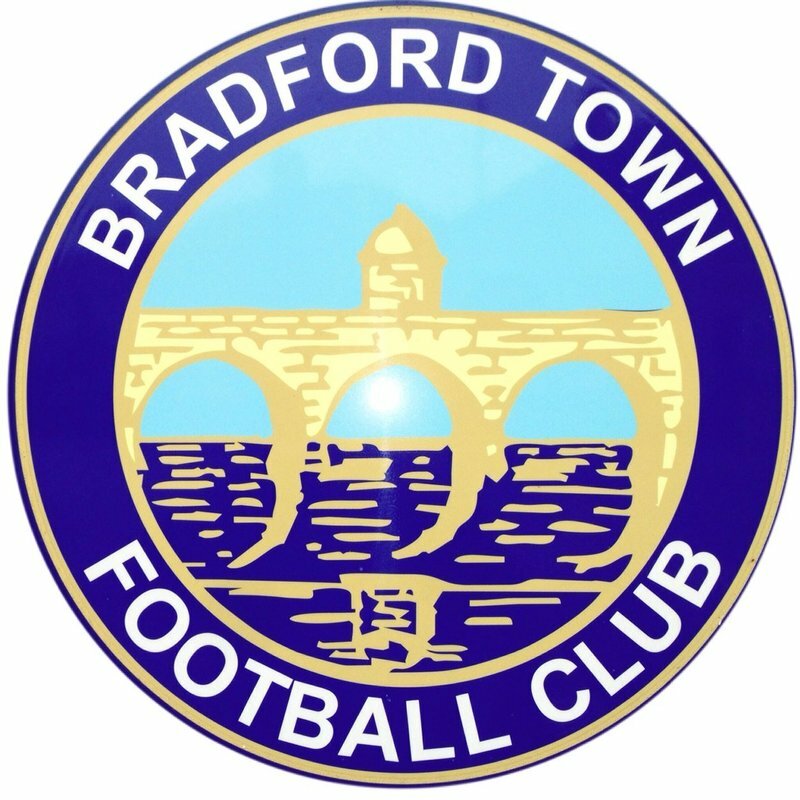 We would like to wish Bradford Town all the best for the season and praise their supporters for their great support. 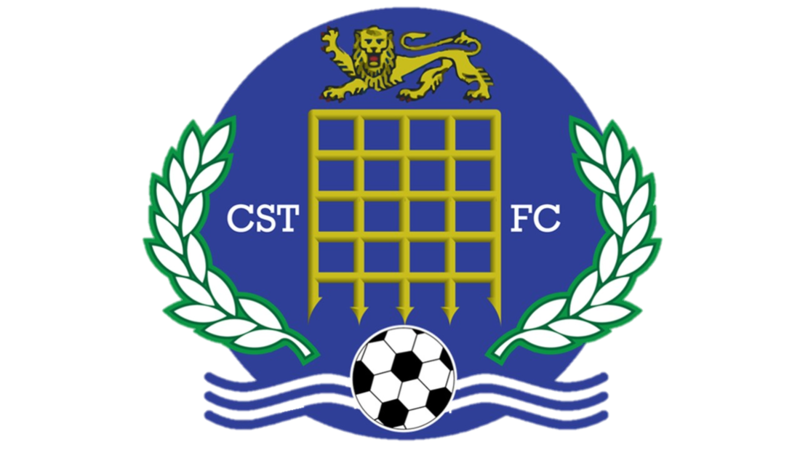 "It’s been hard over the last few weeks as we have not played anywhere near where we can but credit to the lads today, to a man they were amazing today and put everthing on the line and got what they deserved with an excellent 3-1 over Bradford Town FC. View a photo gallery from the game taken by B. East Photography. View the highlights from the game with a Goal Cam. Footage supplied by B. East Photography.